In case all of the proposal pics flooding Instagram haven't tipped you off, we are currently in the midst of engagement season. 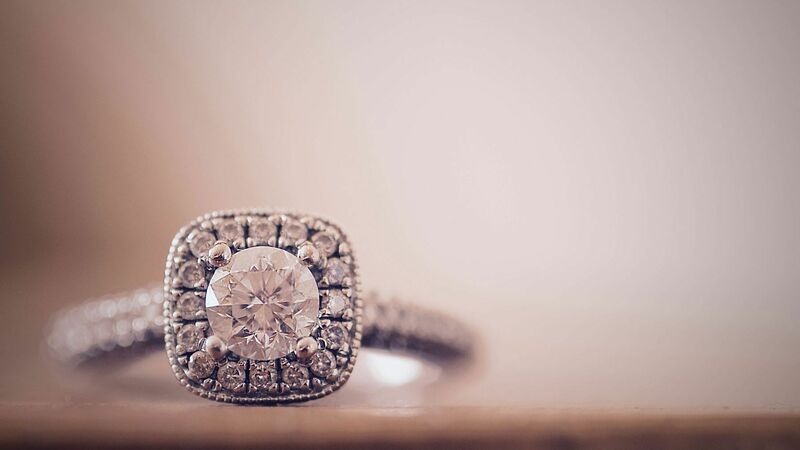 According to Ji Song, co-founder of custom engagement ring company Engage Studio. New Year's Eve is the most popular day to pop the question, but business really starts to spike in November and continues throughout December. 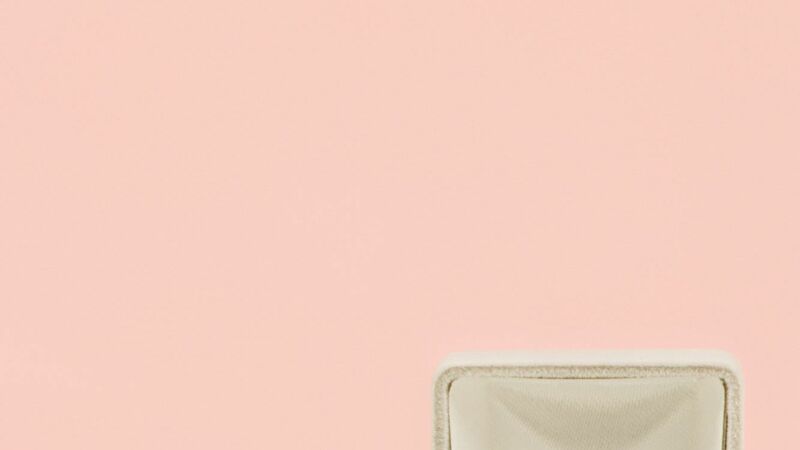 As couples across the country prepare for the grand proposal and start measuring ring sizes, the glitzy engagement ring is at the center of the excitement. Traditionally, the gemstone of choice has been a sparkly diamond—especially after the diamond cartel De Beers launched its highly successful marketing campaign proclaiming "a diamond is forever" in 1947. 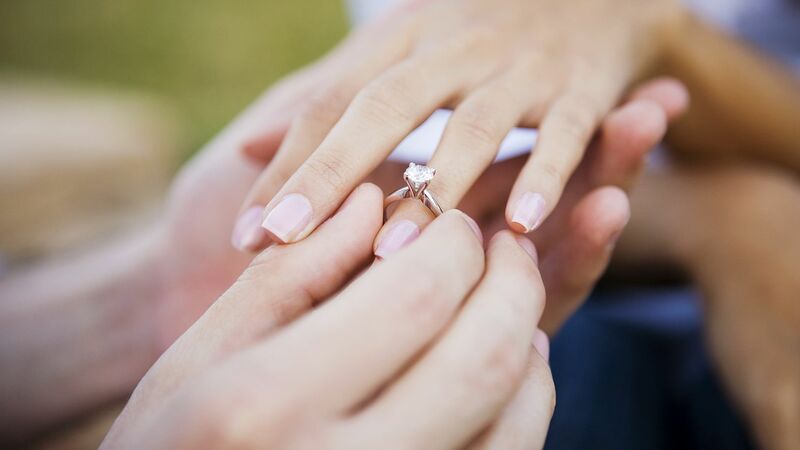 Since then, natural, mined diamonds have become a classic engagement ring choice. But with increased awareness of the ethical issues surrounding diamond mining, paired with new advances in technology and millennials' tighter budgets, innovative lab-grown diamonds could be poised to become the new-favorite gemstone. Sometimes called engineered or cultured diamonds, lab-grown diamonds are diamonds that are created in a laboratory, rather than those that occur naturally and are mined from the earth. So, how do you grow a diamond? The process varies slightly by company, but one modern technique is the "seed" method. First, a very small piece of a lab-grown diamond, similar to a seed, is placed into a plasma reactor that's heated up to 6,000 degrees Fahrenheit and filled with a carbon-rich gas. Over time (2 weeks or more) the crystal grows into a rough diamond that can later be cut and polished, just like a mined diamond. Instead of waiting one billion years (literally) for a natural diamond to form deep under the earth's surface, an atomically identical stone can be created in just two weeks in a lab. To the naked eye, the engineered alternative is identical to a natural diamond. Part of the allure of the natural diamond (besides being super sparkly) is that it's considered rare, and therefore valuable and expensive. While the International Gem Society pokes some holes in the belief that diamonds are rare compared to other gemstones, engineered diamonds can be made quickly and in a theoretically limitless supply. The effect: a big drop in price. While the average cost of a natural diamond is around $5,000 to $6,000 for one carat, a lab-grown diamond can cost less than $1,000 for one carat. For the budget-conscious engagement ring shopper, going the lab-grown route can afford you a much larger rock. For some ring shoppers, concerns over the ethical issues of the mining industry make lab-grown diamonds the shinier option. Today, many shoppers want to avoid purchasing blood diamonds or conflict diamonds, AKA gems mined from war zones where the money funds an insurgency or warlord. While there are several companies, like Brilliant Earth, that source conflict-free natural diamonds, buying lab-grown diamonds takes mining out of the equation entirely. The one catch: Some of the startups leading the lab-grown trend also happen to be involved in diamond mining. For example, Lightbox, one of the makers of lab-grown diamonds, is owned by De Beers, which historically held a monopoly over the diamond industry. Ready for a rock that looks identical to a natural diamond, costs less than half the price, and doesn't require mining? Here are some companies leading the engineered diamond trend. This online site sells lab-grown diamonds for up to 40 percent the average cost of a mined diamond. Plus, part of their mission is to help restore communities that have been effected by the traditional mining industry by funding The Greener Diamond, a charity organization that partners with non-profits such as the Center for Women's Empowerment in Liberia. This site makes it easy to search for lab-grown diamonds by carat, color, price, cut, and clarity. This source for lab-grown diamonds offers some of the most affordable prices on the market.